birthday party game Contestants or party guests choose a fish. The prize corresponds to a number on the bottom of the fish. small horseshoe magnet.Pool size 36″ Diameter. Heather from DESERT HOT SPRINGS, Melissa from North Reading & 1 other purchased this item recently. This fish pond game is ready for your school carnival or birthday party game Contestants or party guests choose a fish. The prize corresponds to a number on the bottom of the duck. Includes 1 inflatable pool and 12 puffer fish with screw, 2′ aluminum fishing pole and small horseshoe magnet. 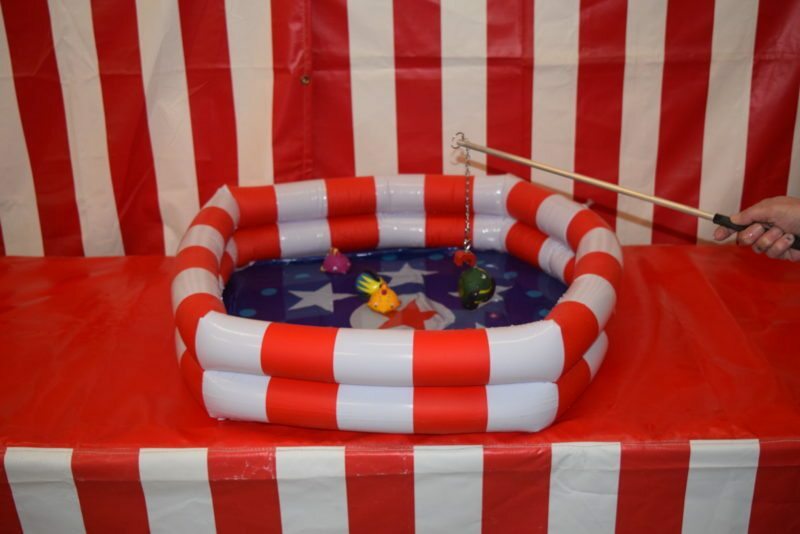 Pool size 36″ Diameter x 6″ Tall when inflated.